Dresden is known as one of the most beautiful cities, museums in Europe. The Old Town, the famous Dresden Gallery, where visitors can admire the Sistine Madonna by Raphael, a collection of porcelain and arms - all this attracts travelers from many countries. No wonder that when viewing these sites, you can skip the unusual, but less well-known "species" in Dresden. These include wall pipe Kunsthofpassage. 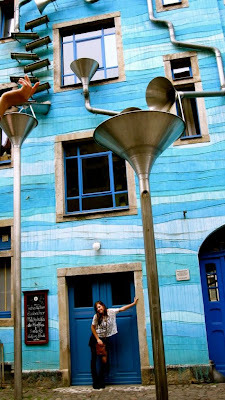 The building is located in New Town, where tourists do not wander, preferring to look gloomy old palaces and churches. But to come here worthwhile. 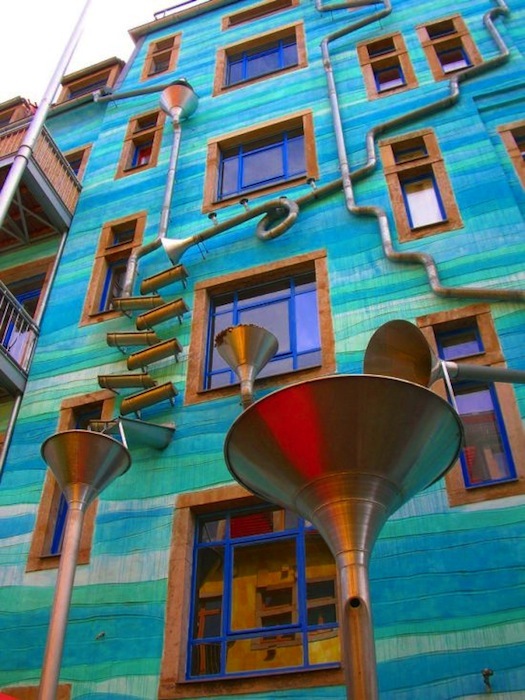 The bright, but quite ordinary facade of the building (without statues and stucco) you will see a strange construction of pipes and gutters, the main purpose of which take water from the roof during the rain. 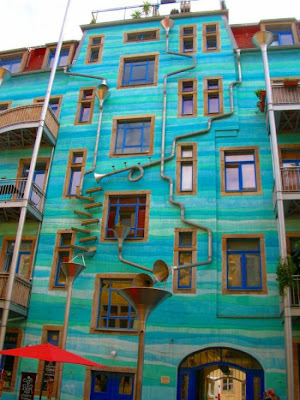 However, all these pipes and gutters create a unique musical instrument, which "wakes up" when it rains. 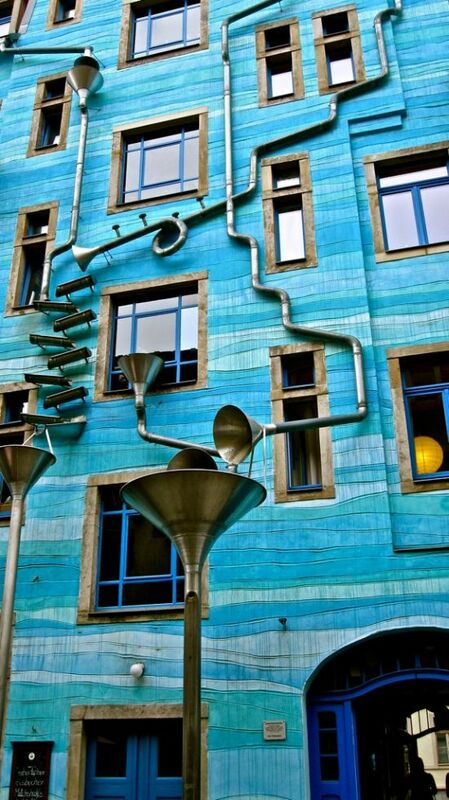 Wall pipe was created by German artists Christoph Roßner, Annette Paul and André Tempel, who were inspired by the unusual architecture of drainpipes in St. Petersburg. Visit Kunsthofpassage in the new part of the city stands in any year, in a bright sunny day you can admire the unusual fountain where the water gradually descends from the roof of the building. 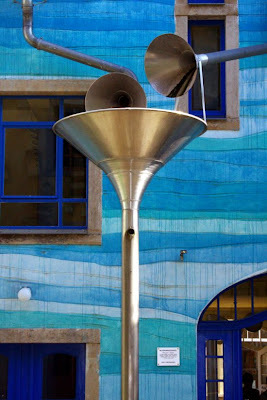 If you want to listen to music, published by the pipe wall, then you should wait until the "musician", that is, rain, and given that it is not uncommon to wait a long time you do not have.